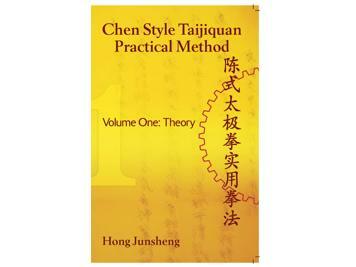 This is volume one of the translation of Grandmaster Hong Junsheng’s book “Chen Style Taijiquan Practical Method”. It was translated into English by Hong’s disciple Chen Zhonghua. The entire series contains 4 volumes (three more to be published). 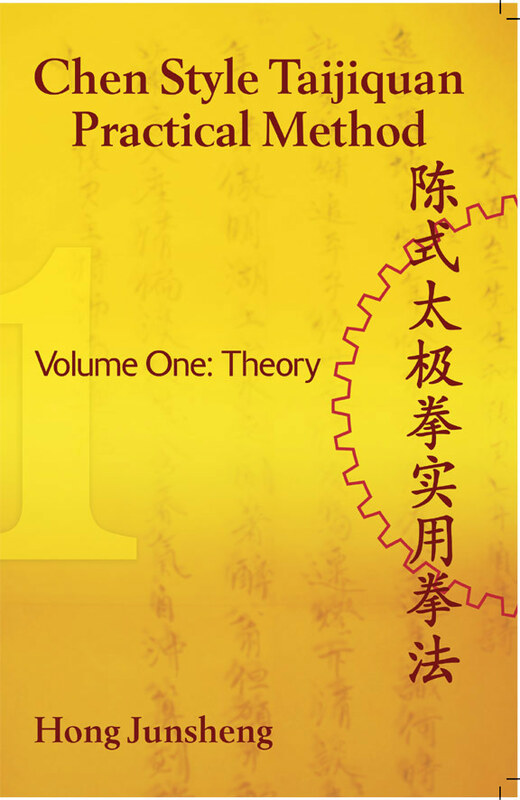 This volume contains the theory part of Grandmaster Hong Junsheng’s book. The publishing of this work, for the first time in English, is the culmination of a process begun at least 76 years ago, when Hong Junsheng began his Taiji studies with Chen Fake. From the beginning of his study in 1930, when he was already a scholar, until his passing in 1996, as a world renowned Grandmaster, he dedicated his life to the investigation and verification of true Taiji principles. During his entire life as student and teacher, he continually recorded and refined his findings, representing them in the writings translated in this book. The translation has been rendered by Chen Zhonghua. Chen met Hong in 1979, and became his disciple, remaining close to him to the end. He is now the official International Standard Bearer of the Hong Family Practical Method of Chen Style Taijiquan. He also received a degree in English in China, and later, his Masters Degree in linguistics in Canada. With these language skills, he served as translator for the Secretary of State, government of Canada. This background provides the ideal combination of top level skills, in understanding and mastery of Hong”s practical method, along with the unique capability to grasp and convey the full impact of Hong’s teaching in fluid and sophisticated English. 1. A theoretical exposition of many key concepts of Taiji practice, such as, Chan Fa, whole body coordination, unity of opposites, 13 postures, 8 hand techniques, torso, stance, mind intent, common problems, chan, center of gravity, etc. 2. The Chen Style practical method, illuminated in the form of the classical format of “3 character canons”. These expressions are very concise and precise in conveying the core principles. Chen’s translation skills are put to excellent use here, rendering the outcome into a very fluid and accessible reading. Each topic conveyed in each canon also includes Hong’s notes and elaborations, covering key details expressed in the canonical structure. 3. Hong’s own beautiful poetic treatises, in the classical style, illuminating Taiji principles such as: solemnity, roundness, agility, stability, power, complexity, softness, spirit, reserve, elegance, meaning, naturalness, etc. Again, Chen’s translation makes it flow beautifully. 4. Annotations on the “Taijiquan Treatise” of Wang Zhongyue (writings from the time of Emperor Qianlong of the Qing dynasty). This is a favorite section of mine, as it takes many principles universally considered by masters of all Taiji styles, some very controversial in various interpretations and earlier translations of these masters’ theories. Hong is very confident, authoritative, and convincing in his explanations and arguments for the best interpretations of this long time classic of Taiji literature. One might venture to opine that just about all of the classic “key” concepts of Taiji are covered in this section, in a very insightful, deep, analytical, enlightening survey. 5. Hong’s own “Memoirs” of his learning experience with Chen Fake. This is a most charming and revealing portrait of Hong’s great master , and revealing also of personal qualities of Hong. This book is truly a landmark work on many levels. It covers every key area: fundamental principles, all basics of practice, philosophical foundations, health implications, historical evolution and authenticity of teachings, all practical elements of every phase of practice, training, applications, push hands, etc. Hong’s analysis and exposition includes principles common to all taiji styles, as well as his special emphasis on the Chen style practical method. It also addresses many technical questions which have emerged over the years, from translations of previous masters works being confused or misinterpreted. Of course, many top level masters in the past were illiterate, or the transmission of their teaching has encountered much loss of precision for other various reasons. As a result certain teachings have gained acceptance, even though they were inaccurate representations of the original principles. This masterwork convincingly covers everything with a most thorough, coherent, elegant, and enjoyable literary expression. Hong’s work reflects his long period of almost 40 years of dedicated study with the man widely recognized as top Taiji master of the twentieth century, Chen Fake, along with another 40 years of deep exploration, refinement and systematization of the expression of these highest Taiji principles. By the end of his life Hong attained such skill in manifesting these techniques, that he himself became recognized as a top grandmaster of his generation. Then, with the advantage of his scholarly and articulate skills of communication, he devoted his life to formulating the clearest exposition of Taiji knowledge. His emphasis was always on the absolute validity of all principles in actual application. He then formulated all these principles in strictly systematic form, so that any technique could be replicated by students and all practitioners, as long as they applied the same systematic principles. This life long passion inspired him to gather the wisdom he accumulated into an easily accessible package of instruction that can truly benefit all of us modern day students of the arts. The book has been a revelation , as I have enjoyed the gems flowing from its pages. And It promises to continue to reveal more and more through repeated readings and study for many years to come. It reveals Hong as not only the world renowned grandmaster, but also as a true scholar and top level communicator. The combination of his precise, penetrating, and deep exploration of all facets of the practice of Taiji, and Chen Zhonghua’s similarly fastidious and brilliant English translation, establishes this masterwork as a new standard and true “Taiji Classics”. It will be of tremendous value for serious students who practice and apply its wisdom. Great Review John! I can’t agree more. This is a terrific review! I finally finished this book for the first time. I enjoyed chapter 5 – Memoir of Learning the most. I learned a bit more about Grandmaster Chen Fake and Grandmaster Hong Junsheng. The rest of theories mentioned in the book are a bit over my head right now. I am hoping when I re-read the book in a few years, I will understand the topics better with more experience in Taiji. Hello, I am bit confused after reading the description – are there more volumes of this book also available? Unfortunately, this is the only section of Hong’s book available in English. There are four more parts yet to be translated into books. However, this book provides exceptional insights into and a platform for understanding the intricacies of Chen Style Practical Method.